Deep southern porches and warm salty breezes lead the way to high style and lush appointments, all on deep water. Dockage supports a vessel of up to 75 feet, with an addition dock for a boat of up to 30 feet plus a pull-beside mooring. Enjoy long walks and friendly neighbors without the cost and commitment of an HOA in this retreat that honors privacy yet begs to entertain. 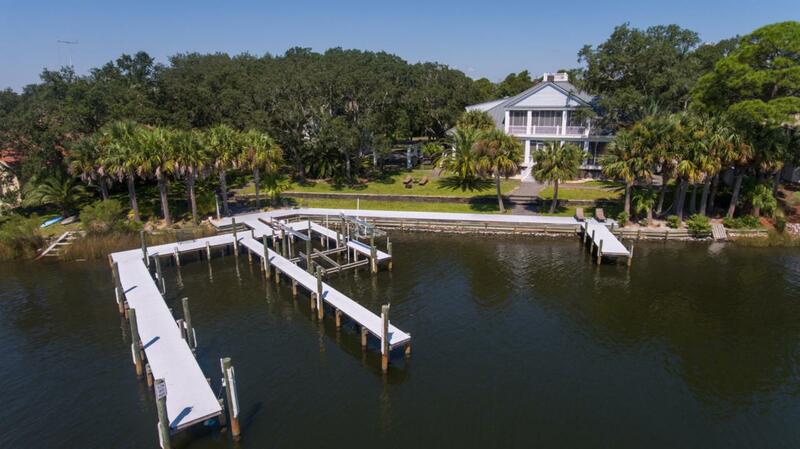 Relish waterside living and deep-water boating on nearly an acre of privacy overlooking 225' of deep-water Bayou-front shoreline. The spacious main house's living/entertainment/multi-purpose rooms and two designated bedrooms are enhanced by a charming guest cottage with its own living/kitchen space and two additional bedrooms. This transitionally styled home is timeless in detail and faultless in design.From the expansive cook's kitchen with designer appliances and island to soaring ceilings and gleaming hardwoods, this home reflects fine design and extreme comfort. Indoors blends seamlessly with outdoors through a series of French doors which lead to a spacious screened porch overlooking the sparkling waters of Indian Bayou. 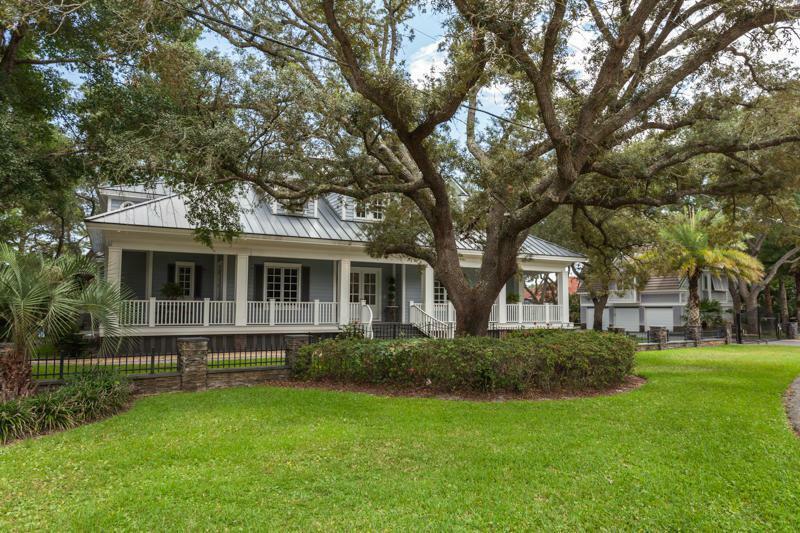 Curb appeal is unmistakable - iron fencing and an electronically gated entry are flanked by lush landscaping and live oaks. Inside, the drama of the transitional architecture belies the simplicity of the traditional exterior. An elegant floating staircase and a private elevator lead to second floor living/sleeping. Dramatic coffers accent 40' ceilings. Built-in custom cherry cabinetry and work-space promote creativity and concentration in the seriously well-designed downstairs office. Living/kitchen/breakfast are open concept and are designed for compelling acoustics and memorable gatherings, all with stunning bay views. A white-kitchen with black Silestone counters features expansive, custom cabinets, dual Miele dishwashers, a double Miele oven/convection, a Viking stove top with griddle, and a Subzero refrigerator. An impressive full wet bar with a wine cooler, ice-maker, and beverage fridge is entertainment central. Formal dining enjoys its own space in a sunny room just off the kitchen. The second-floor palatial master suite includes a fireplace, two custom closets and his and her master baths. The second floor enjoys its own screened balconies. This home was expertly constructed with the finest materials and exceptional attention to detail. Extras include 2x6 exterior construction; impact resistant doors and windows; structural foam insulation in walls, rafters, and under home; cypress siding; insulated and wrapped metal duct work with ultraviolet lights; intercom system with radio; an 800-lb Liberty safe in its own closet with alarm; etc. The detached 3-car garage includes a workshop area, storage, and a second washer/dryer.